The ability to provide expert solutions to wide range of industries derives from a team of experts who have long years of experience in designing, production and installation of industrial components and systems. Each phase of a bulk material handling project is critical to achieve desired performance and required safety. Our team of highly experienced engineers provide industrial solutions designed for safety, reliability and performance. There exists several aspects that affect the system design. 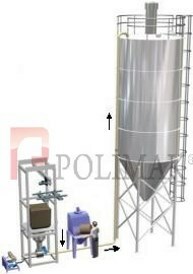 Each one should be considered carefully to achieve an efficient bulk material handling solution. Physical and chemical properties of material (bulk density, particle size, angle of repose, flowability, moisture, corrosivity, minimum ignition temperature etc.) 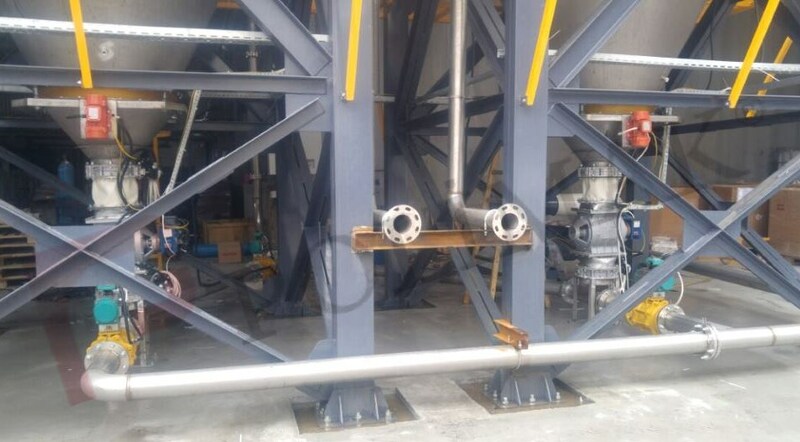 conveying capacities, storage need, process limitations, connected equipment are some of the important factors in system design. Process and occupational safety considerations are also the key elements in engineering design. Being a solution provider in bulk solids handling industry with 40 years of experience, our strength comes from R&D, custom design and production capabilities for each individual application. Our operational organizations are flexible enough to supply problem free solutions for our customers from a single equipment production to complete turnkey system installation in short time. Turnkey bulk solid handling systems from raw material input to end product output. 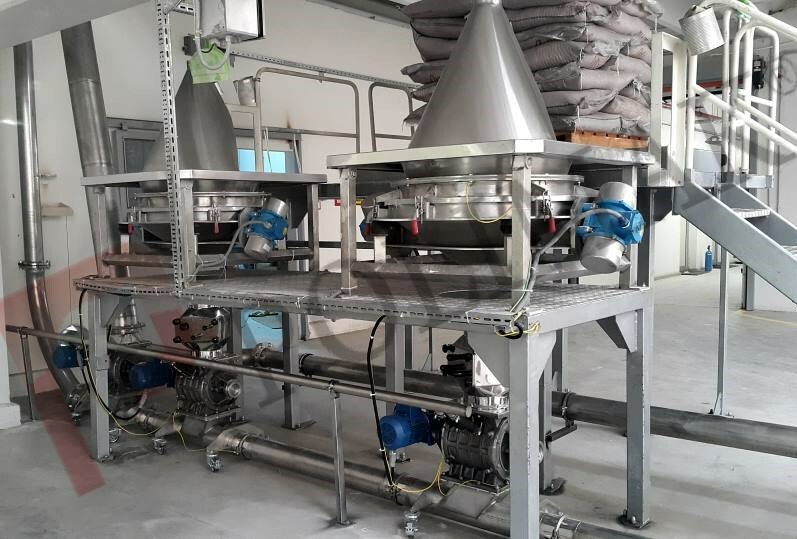 Bulk solid loading, filling, discharging, conveying transportation, mixing, dosing, feeding, weighing equipments are combined together to have a complete production line. Design, production, installation and commissioning services for production lines of wide range of industries are avaliable from one supplier. 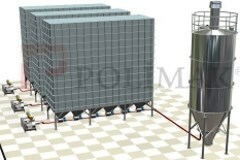 Silos, tanks and containers for safe and efficient storage of powdered and granular bulk solids. 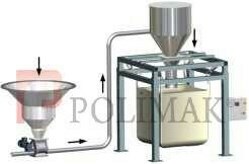 Gravimetric and volumetric dosing systems combined with pneumatical conveying systems are used to feed powder mixers. Wide range of configurations are available depending on process requirements. Cement, calcite, calcium carbonate, mining materials, medical powders, petrochemical materials, pharmaceuticals, coal, coal dust, soda, gypsum, perlite, marble powder, plastics, polyethylene, polypropylene, granules, saw dust, activated carbon, ceramic powder, Calcite, Calcium Carbonate. Calcium Carbonate is also known as calcite. Its chemical formula is CaCO3. Calcite is widely used in industrial processes. Paint industry, paper industry, plastics, glass production, building materials, chemicals, food and ceramic industries are some of them. 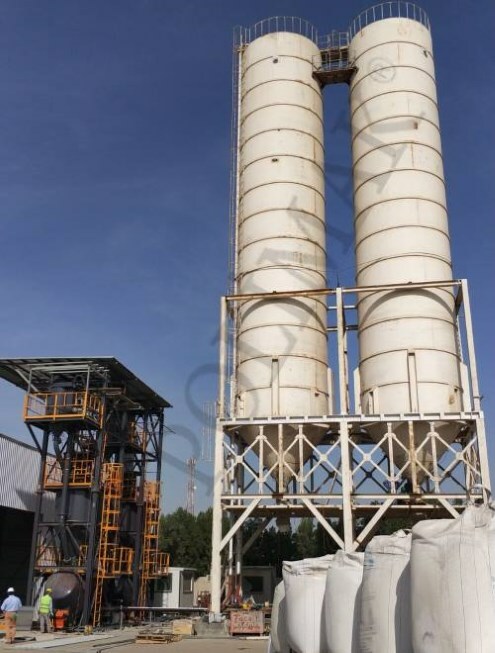 Calcite, calcium carbonate conveying, storage, loading and feeding systems are widely used in these industries. 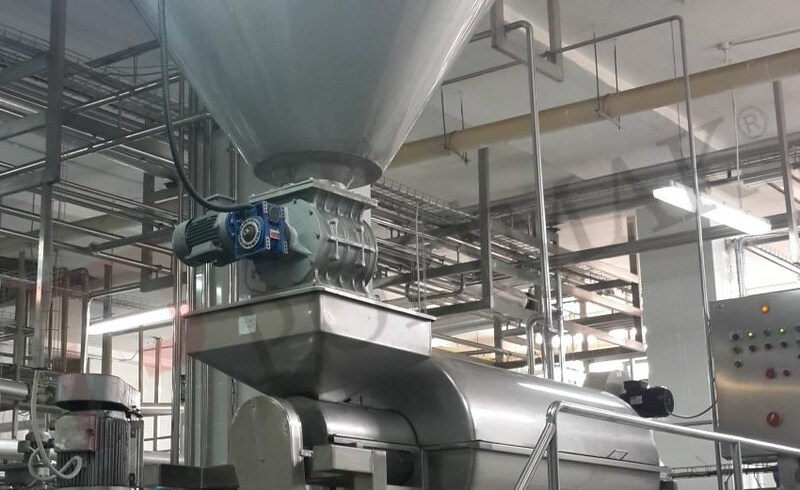 Conveying, storage, loading, feeding and discharging of plastics like PVC, Abs, polyethylene, polypropylene are carried out by bulk solid handling systems. Injection and extrusion machines are fed by central powder & granule feeding systems. 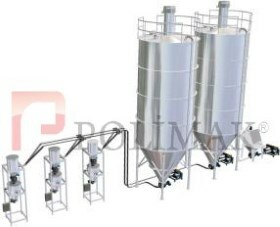 Raw materials are transferred between silos, mixers, batching units. Fly ash is the result of burning of solid fuels like coal. Energy plants, cement factories, boilers, chemical processes need heat. Ash is the one of the outputs of heat generation systems in i.e. coal burning power plants. 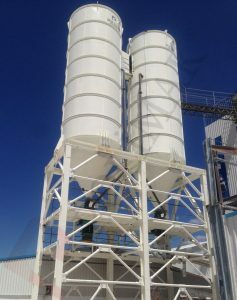 Fly ash handling systems are needed to take the ash from bag house filters to silos for temporary storage and then to bulk trucks for safe disposal. 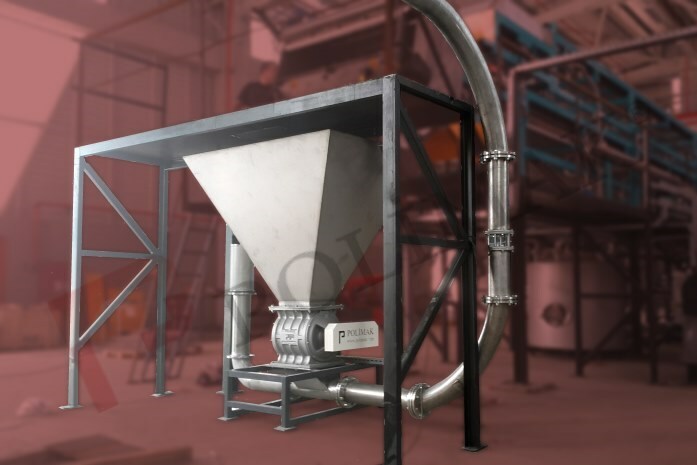 Grains and powders like coffee grain, coffe powder, sugar, salt, flour, milk powder, corn , starch and spice can be conveyed, stored, loaded and fed by bulk solid handling systems. 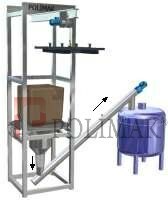 Food grade equipment are used in food handling. Large range of systems are available for each production process including mixing, batching, conveying, storage and dust collection.